Spiral Indicator - held just above water surface. Orange Spiral - used in fishing across the sun. Chatreuse spiral - fishing in the shade and cloudy sky. 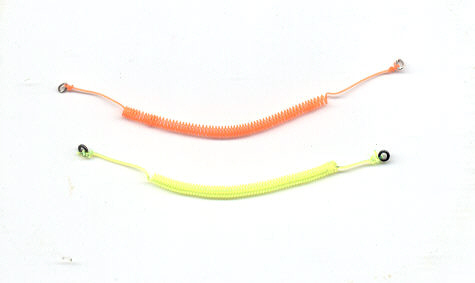 After catching a few fish the spiral stretches about 20 cm, which is the ideal length.